This 5000-year-old treatment ranks among the most prevalent alternative veterinary practices around the world. Using precisely placed needles, acupuncture taps into natural energy pathways called meridians, from which Qi (life energy) flows. When properly realigned, qi helps bring important bodily processes back into balance. 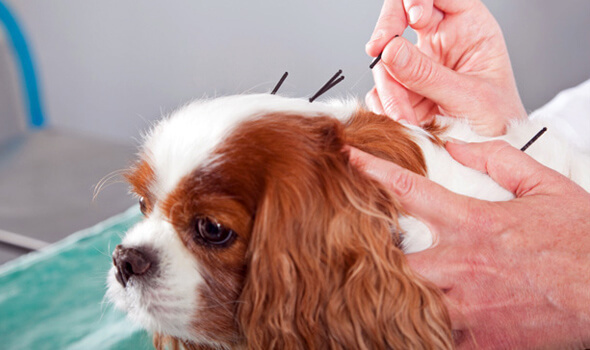 Acupuncture is one of the safest veterinary treatments available. It requires no pharmaceutical assistance, removing the possibility of overdose and adverse reaction. However, it can be safety used in conjunction with traditional veterinary practice to enhance treatment effects or facilitate faster recovery.